In 1968, The Beatles’ ninth studio album took the world on a whole new trip, and for 50 years it has invited listeners to venture forth and explore the breadth and ambition of its music, delighting and inspiring each new generation in turn. The release of the band’s self-titled album, which later became known as 'The White Album', was the most anticipated event of 1968, following a somewhat tumultuous year for the group. 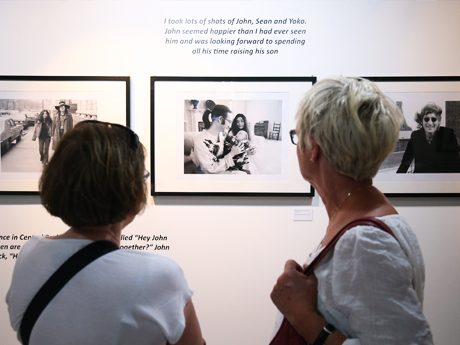 Much of the initial songwriting for the White Album was done in Rishikesh, India between February and April 1968, when John, Paul, George, Ringo, and their wives and girlfriends, joined a course at the Maharishi’s Academy of Transcendental Meditation. 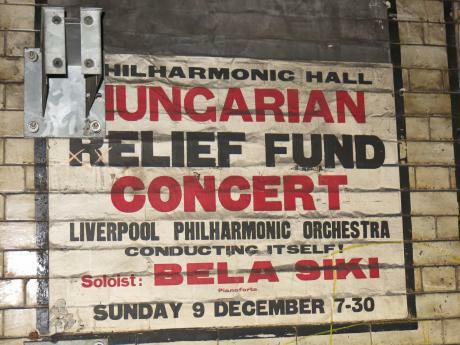 The Rishikesh visit was a secretive but crucial time for the Beatles, and a creative one, as they returned to the UK with more songs than they could fit on a single LP. In May, shortly following the band’s visit to Rishikesh, the Beatles gathered at George’s house in Esher, Surrey, where they recorded acoustic demos for 27 songs. These recordings since became known as the Esher Demos and will be released for the first time in the anniversary edition’s Deluxe and 7-Disc Super Deluxe packages, sourced from the original four-track tapes. The Beatles’ studio sessions for the White Album began on May 30th, 1968 at Abbey Road Studios in London, and in the 20 weeks that followed, the band devoted most of their time to sessions for the new album, with some recordings taking place at Trident Studios. The group’s approach to recording for the White Album was quite different from what they had done for Sgt. Pepper’s Lonely Hearts Club Band. Rather than layering individually overdubbed parts on a multi-track tape, many of the White Album session takes were recorded to four-track and eight-track tape as group performances with a live lead vocal. The Beatles often recorded take after take for a song, as evidenced by the Super Deluxe set’s Take 102 for "Not Guilty", a song that was not included on the original White Album. This live-take recording style resulted in a less intricately structured, more unbridled album that would shift the course of rock music and cut a path for punk and indie rock. The famous minimalist artwork for the White Album was created by artist Richard Hamilton, one of Britain’s leading figures in the creation and rise of pop art. The top-loading gatefold sleeve’s stark white exterior had 'The BEATLES' embossed on the front and printed on the spine with the album’s catalogue number. 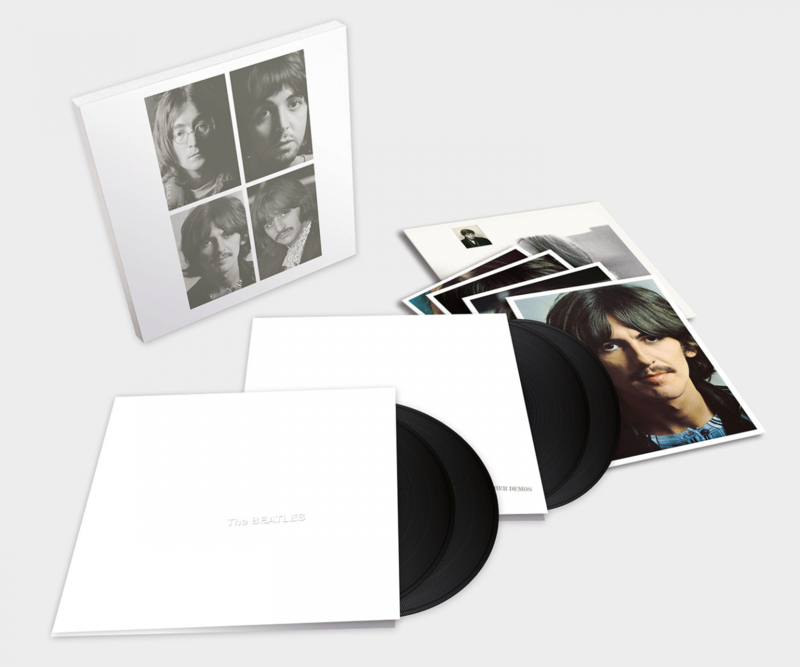 Early copies of the White Album were also individually numbered on the front, which has also been done for the anniversary edition’s Super Deluxe package. The White Album was the first Beatles album to be released on the group’s own Apple Records label. Issued in both stereo and mono for the UK and in stereo for the US, the double album was an immediate bestseller, entering the British chart at number one and remaining there for eight of the 22 weeks it was listed. The White Album also debuted at number one on the US chart, holding the top spot for nine weeks of its initial 65-week chart run. In his glowing review for Rolling Stone, the magazine’s co-founder Jann Wenner declared: "It is the best album they have ever released, and only The Beatles are capable of making a better one". The new lavishly presented anniversary packages will include the albums 30 tracks mixed in stereo and 5.1 surround audio by producer Giles Martin and mix engineer Sam Okell. The new mixes have been sourced directly from the original four-track and eight-track session tapes and guided by the album’s original stereo mix produced by Giles’ father, George Martin. The new editions will also include 27 early acoustic demos and 50 session takes, most of which are previously unreleased in any form. The 2018 anniversary editions of The BEATLES (White Album) will be available in several formats, the standard 2LP Vinyl includes the album’s 2018 stereo mix in a gatefold sleeve with faithfully replicated original artwork. The Deluxe edition, available as a 3CD or 4LP boxset, includes the 2018 stereo mix album, Esher Demos and artwork. 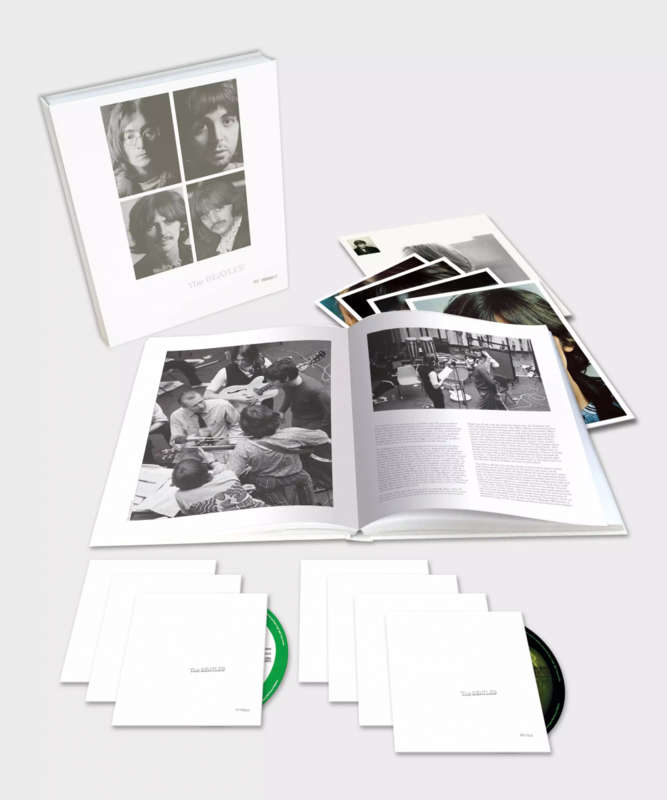 The Super Deluxe edition is a comprehensive 7-disc collection of the White Album’s 2018 stereo mix, Esher Demos, 50 additional and mostly unreleased session recordings and Blu-ray, all housed within a slipsleeved 164-page hardbound book with pull-out reproductions of the original artwork. The book’s comprehensive written pieces include new introductions by Paul McCartney and Giles Martin, and in-depth chapters covering track-by-track details and session notes reflecting the events of 1968, the album artwork, the lead-up and execution of the album’s blockbuster release, and its far-ranging influence. The White Album anniversary releases will be available to purchase in-store at The Beatles Story’s Fab4 Store. 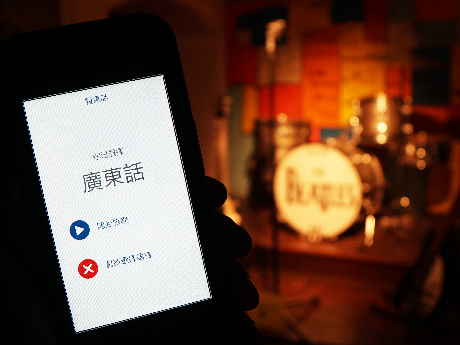 The Beatles Story, Liverpool has added a Cantonese language option to its multimedia guides, becoming the twelfth language now available at the award-winning attraction and a first for the North West of England.